German researchers have shed light on life during the Iron Age after examining the ancient remains of a woman found in a bog in what is now Lower Saxony. The body dates back to the pre-Roman era, more than 2,600 years ago. A team of experts presented their findings on Thursday in Hannover, including facial simulations of the bog woman dubbed “Moora.” Archaeologists first began studying the find six years ago, according to news magazine Der Spiegel. Experts from the University Medical Center Hamburg-Eppendorf (UKE) generated a digital model of the bones, which was used to make a replica of the bog woman’s skull. Later, five researchers from Germany and the United Kingdom produced a series of facial reconstructions. “It’s a look into the face of a young woman who lived at a time when Rome was still just a small village,” said Stefan Winghart, head of the regional heritage conservation office in Lower Saxony. After examining Moora’s corpse, researchers estimated she was between 17- and 19-years-old at the time of her death. Her life was brief but gruelling: The team determined the young woman suffered from malnutrition, chronic inflammation, curvature of the spine – as well as a benign tumour at the base of her skull. The bones also point to a pair of skull fractures due to blunt trauma. Experts said Moora probably lived a life of intense physical labour – and likely regularly carried heavy loads, such as water jugs, while roaming through the marshland. When Moora’s remains were initially uncovered – including vertebrae, hair and pieces of the skull – the body was not treated as an archaeological find. Instead forensics experts in Hamburg identified the corpse as a 16- to 21-year-old woman with poor dental hygiene, Der Spiegel said. Until a DNA test proved otherwise, the corpse was suspected to be the body of the young woman Elke Kerll, who disappeared in 1969 after going to a dance club. Yet after a human hand was uncovered at the site five years after the initial find, archaeologists began to take a closer look. Radiocarbon dating completed at the University of Kiel confirmed the girl had died between 764 and 515 B.C. Despite researchers’ efforts to learn more about Moora’s life, the circumstances of her death remain a mystery. 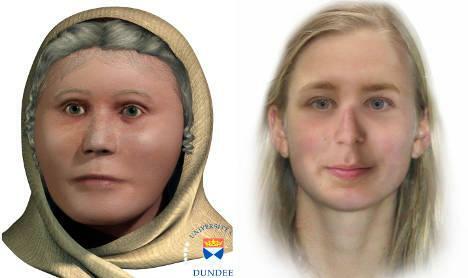 The team determined the young woman was naked at the time of her death – and the absence of any clothing or jewellery at the site seems to suggest the young woman did not suffer a fatal accident. But the find also contradicts historical knowledge of common burial practices during the Iron Age, as most bodies were cremated.